Lately, more and more people begin to understand that working with Chinese suppliers pays off and is very profitable. Why? The profits are high, competition is low, and the Chinese market is evolving so that we can work much more conveniently than before. You can either find and work with one good supplier in AliExpres or with various dropshipping suppliers. Either way, regardless of the way you choose to dropship from AliExpress, you will, above all, need a stable dropshipping tool. There are several things you need to know when selecting a dropshipping tool for working with AliExpress. First of all, we sure want to rake in as much profit as possible and avoid risk to the maximum extent. Working with Chinese suppliers can be potentially risky and could harm our eBay dropshipping business..
We surely want to minimize this to the extent possible, and also save time to enjoy the profit we make by dropshipping rather than sit in front of a computer screen all day long. Therefore, we need to choose the appropriate dropshipping software, which will streamline processes and reduce these risks. Most tools work with something called an API, which is the “interface” the software uses and fetches all of the information from AliExpress. However, the API doesn’t support all the products. There are a lot of profitable products that some tools can’t support, and this is when we miss sales. Therefore, it is essential and recommended to check if the dropshipping tool we will choose, supports all items on AliExpress, and not only those that can be grabbed by the API. 2. Prices and stock must always be up to date. The Chinese products have a large inventory but popular products run out of stock and nothing will ever change that. The suppliers resume the inventory within a few days, however, during these days you might obtain a defect on eBay, which will jeopardize your account. Furthermore, prices tend to vary a lot, and this also depends on demand. The hotter an item is, the more it sells. So eventually, the supplier will increase its price. Therefore, it is a “must” to use a dropshipping monitor that tracks inventory and prices within a reasonable time frame and at a high frequency (1 hour max). There are dropshipping tools that scan stock and prices only once a day. Therefore, we need to make sure of how often a monitor tracks our products for changes. At AutoDS dropshipping platform, stock and price monitoring run at a high frequency (every hour) which reduces the risk and increases credibility. The significance of monitoring inventory and prices frequently and within short time intervals is vast and profoundly important. You must put it at a very high priority for your eBay dropshipping business to succeed. The shipping terms are different to those from the United States. Therefore it is required to use an eBay template suited for China. 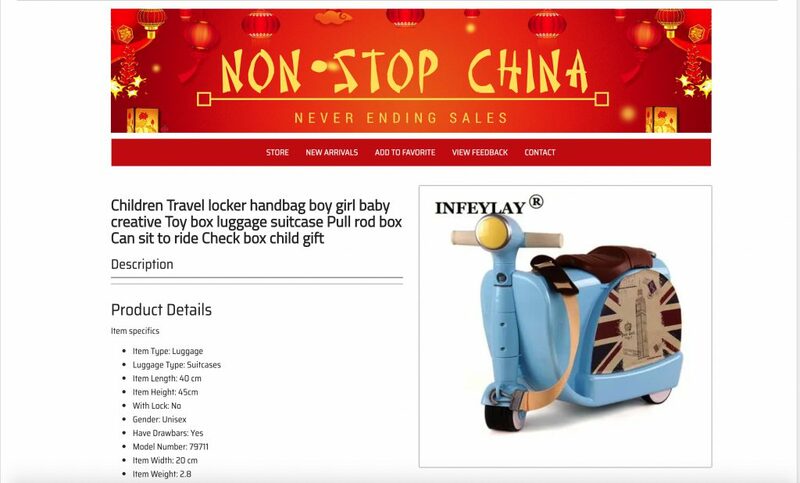 Ensure that the drop shipping tool includes such templates, and if not – you can use a paver and create such, or search for software that already contains Chinese templates. 4. Remain in the customer’s awareness, to increase the number of positive feedback by approximately 60%, and sell additional items! The shipping times from China are long, and therefore by the time the customer receives the item, he will have already forgotten who we are. Not to mention he will for sure forget leaving us positive feedback. When a customer buys from the United States, shipping is fast and takes only a few days. Therefore, the customer remembers, returns and leaves us a positive review, or even purchases additional items. Thus, in drop shipping from AliExpress and China, it is recommended keep communication open with the customer. Here is how to do it. At first, send the customer a “thank you for your order” note the minute we receive the order from them. Then, once the order is dispatched, we message them to update them of the tracking number once we obtain one, so that he can track the delivery. A month later, it is a *must* to send him a message and ask him if he is satisfied with the item. In this message, we will also ask him to leave us positive feedback. This step will bring a significant improvement in the percentage of feedback we receive. This way we form a relationship with the customer, the customer sees that we care about him and knows he has someone he can contact. This way we help him increase his satisfaction with the store and product. Please make sure that you enable this option in AutoDS under the Orders Processor. These messages are sent automatically, and your customers will feel that they are important to you. In most of the items on AliExpress, the product has variations, e.g., purses in a variety of colors. This is amazing for us, as on eBay when we upload product variations we supposedly upload many items (since each variation is a different item). However, we pay eBay per listing – for the product itself, regardless of the number of variations it may have. This is one of the reasons you should use variation uploading on AliExpress. We need to make sure that the dropshipping monitor we will use includes such a feature. Another thing is that on AliExpress, the price may be identical for all of the variations, for example, 6 different colors at the same price. 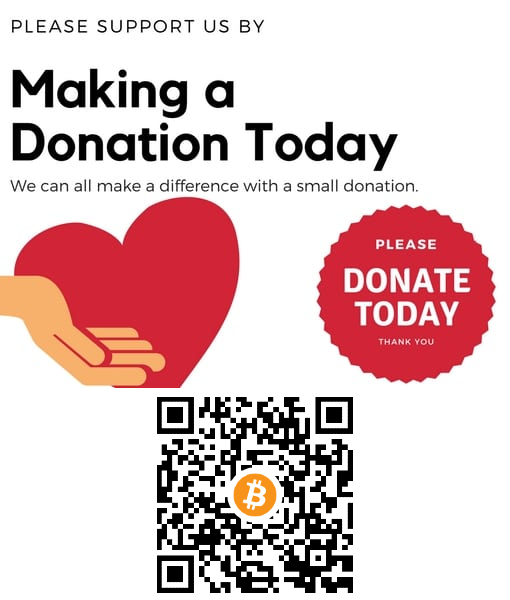 Nevertheless, we can use this to our advantage, and upload the item on eBay at a different price for each variation, meaning increase the prices for some of the variations. This is an excellent way to rake in a few extra dollars for each sale, since the customer wants a specific color, regardless of its price. In practice, it costs us the same. Therefore the profits become higher. 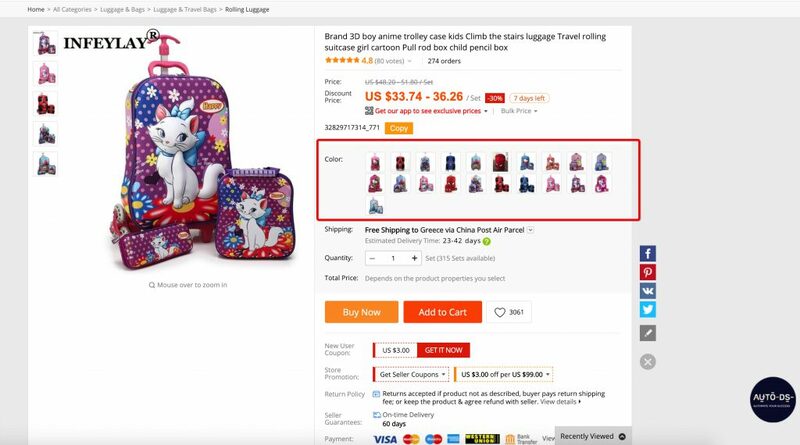 Most dropshipping software does not support variations, or they partially support them, which does not allow uploading variations at different prices, for the same item on eBay. If a monitor doesn’t support such feature, our profitability is compromised. The vendors on AliExpress considerably invest in item specifics; therefore it is recommended to copy them to our items. This way eBay promotes our listings more. Uniquely with AutoDS, we can upload all items from AliExpress automatically with all of their item specifics. This is something that will save you hours of tedious work in front of a screen! The number of our orders from AliExpress may reach dozens per day, due to reasonable prices and low competition. This will lead to us sitting and updating tracking numbers all day long. Therefore, it is recommended to use a dropshipping tool that supports automatic update of tracking numbers. Thus, we provide the tracking numbers to the customers as soon as possible. At times, you may receive an order for an item during nighttime. Then you wake up in the morning and find that the item’s price had gone up‍. Additionally, as noted in the previous section, the time it takes us to ship dozens of orders may amount to many hours. when we are asleep, it is recommended and even required to use an automatic orders system. The prices of auto orders vary in the tools on the market, starting from 0.16 cents. We understand it is worth the time and money we may lose if the price goes up. 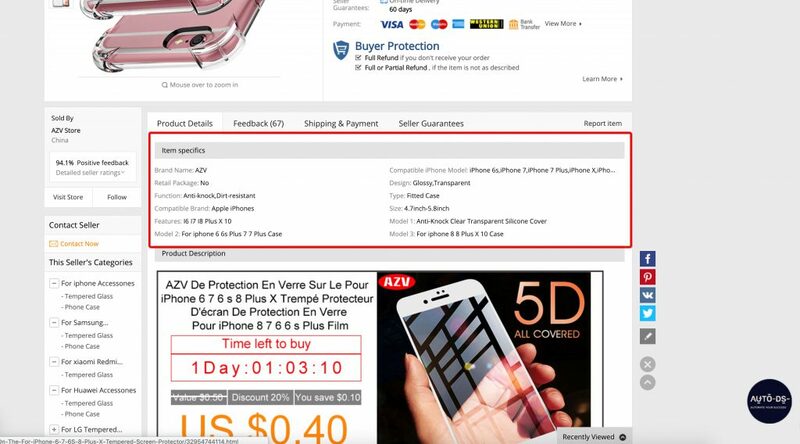 So, you need to make sure that the dropshipping tool you will choose, fully supports auto orders from AliExpress. AutoDS fully supports auto ordering and tracking number update for orders coming from AliExpress. 9. And of course – how can we forget bulk uploading? One of the methods that have been proven to work great with Amazon and even better with AliExpress is bulk uploading. This is due to the low competition and the grabbing of all the item specifics we discussed previously. We strongly recommend that the drop shipping tool you will use supports bulk uploading on AliExpress. It is also critical to ensure that the software uploads the items with all their variations; otherwise, we lose a lot of money we pay for commissions to eBay. Most importantly, we can miss the hot items included in the many variations, that will just not be included. 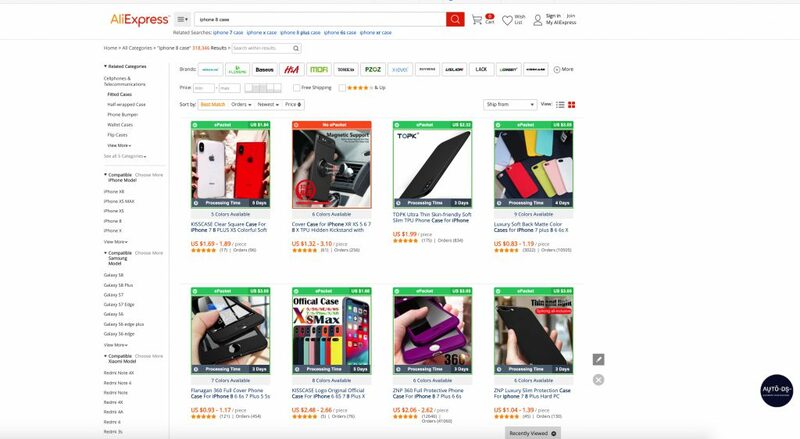 If you choose to work with AliExpress, you need to select a dropshipping tool carefully. Make sure to include all the features we describe above. So, share your thoughts about what else you think a dropshipping tool should include, to help you work better with AliExpress!